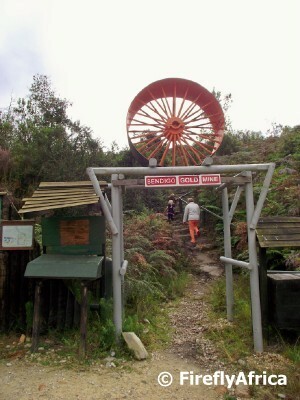 Just up the road from the remains of the Millwood mining town outside Knysna is what is left of the old Bendigo Gold Mine. At the height of the gold rush in Knysna in the late 1880's up to twelve vessels per month docked in the harbour, bringing in mining machinery for mines like Bendigo and taking out timber. 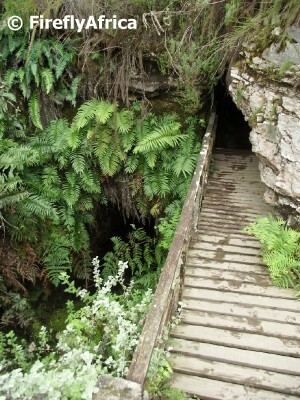 The path from the parking area passes several mine tunnels and shafts that date from those days. Although you can follow the path unguided, it's recommended to organise a guided walk if you want to know more and perhaps even venture into some of the tunnels. The tunnels of the Bendigo mine is by far not the only ones in the surrounding forest and hills, but not many of them are as accessible or visible as these. Even though most mining operations had seized by then, mining in the Knysna area was officially deproclaimed in 1924 and all prospecting became illegal. Most of the mining equipment was just left scattered and abandoned in the forest after the miners left and some of it was retrieved and brought back to Knysna. The Millwood Goldfields Society was founded in 1988 and keeps the memory of the gold industry in the area alive. 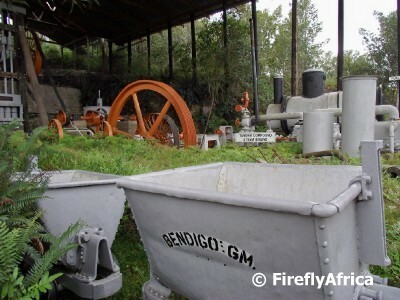 At the Bendogo Mine they have a display of restored mining machinery, most of it found deep in the forest, in gullies and ravines. Looks like a fun tour. Did you venture into any of the mines?